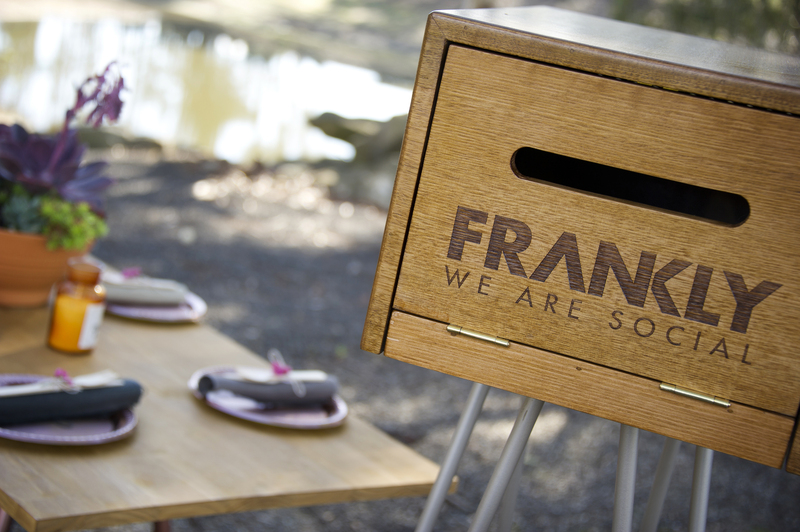 Every wedding is perfect and unique, and the Frankly Social team are lucky to have been invited to thousands around the country! 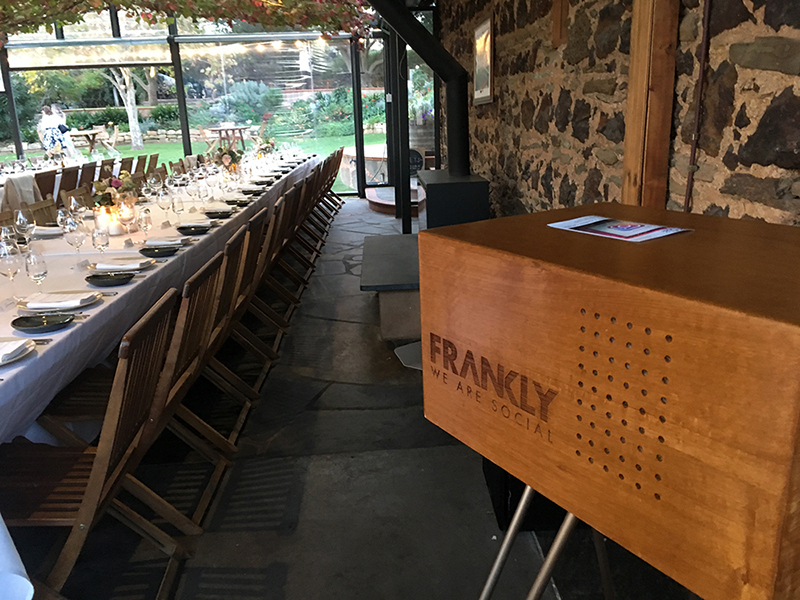 There are many we hold dear in our hearts; however, we can’t help but share some photos of a very special wedding that took place recently in McLaren Vale, South Australia. 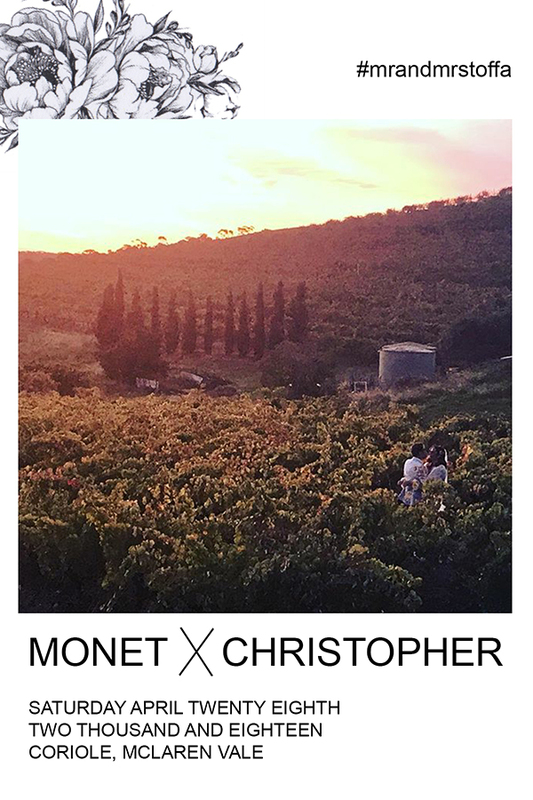 A family member of our Adelaide Team was married in one of the most exquisite wedding locations in the country: a stunning vineyard overlooking the picturesque McLaren Vale wine-making region. Of course, we were there to make the day extra special, providing our Hashtag Printer service for the happy couple. The bride and groom, their family and friends, could post photos to Twitter and Instagram and, by simply applying the event hashtag, print their snapshots all day long through our Frankly Social printer. 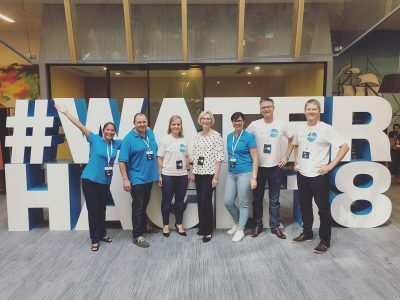 Most of the guests were Instagram users already, and so plenty of photos were captured and shared, spreading the love to family and friends around the world. For those guests who were not accustomed to social media, our friendly team helped shoot and print pictures from our own phones and tablet devices. Overall, this beautiful celebration of love was a huge success. 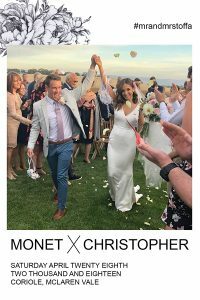 The mix of breathtaking scenery and gorgeous wedding festivities made for a great night and plenty of Instagram-worthy prints. What’s more, our classic Victorian Ash printer case was a perfect match for the rustic charm of the restaurant, and the stylish artwork chosen by the couple added a personal touch to the guests’ keepsakes and their take-home wedding album. 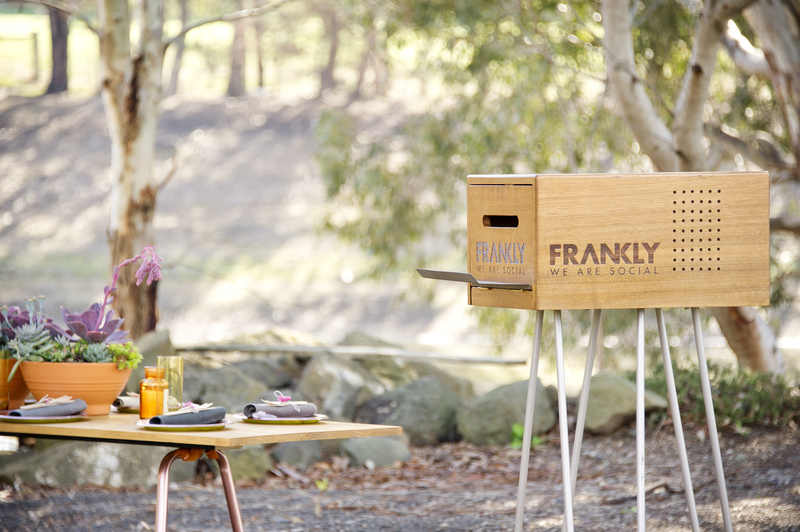 Frankly Social offer Instagram Printer and Twitter Printer hire throughout Australia. These services are an ideal addition to weddings and parties, as guests feel comfortable taking the candid photographs your professional photographer might miss. What’s more, family and friends leave with a personalised keepsake, and the married couple return home with the perfect memento of their special day. If love is in the air, call us — we will help make your wedding as unique as you are!